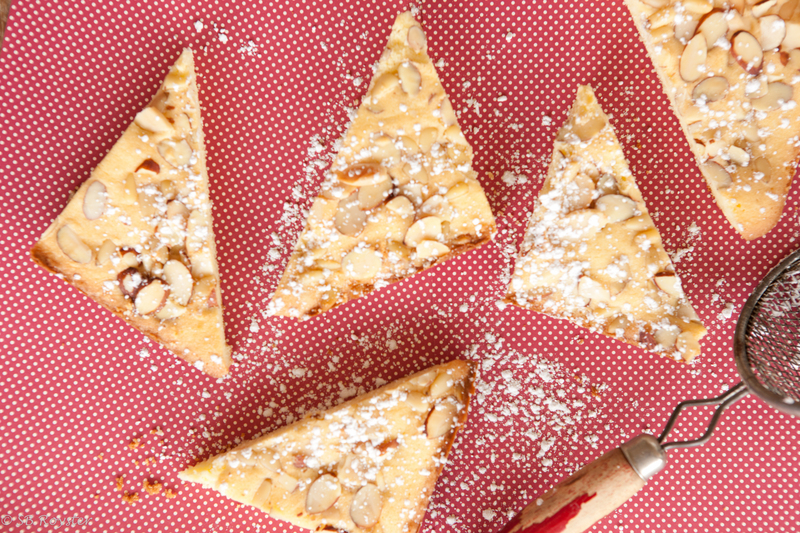 Almond cake is a traditional Italian dessert that is absolutely sensational after a meal or for breakfast with coffee. Cheers! I love Italy, I love most all things Italian from the wines to food to cars and fashion; this is my tribute to Italy, and their delicious baked goods. These are delightful, little cakes that are best served for dessert with strong coffee and a liqueur or a glass of moscato. Pre-heat oven to 350 degrees and butter 2, 8 inch round or square cake pans. Melt the butter and cool. In a large bowl mix the yolks, whole egg and sugar until well blended. Add butter to the egg mixture and beat until combined. Sift the flour mix into the egg mix and continue beating until well blended.